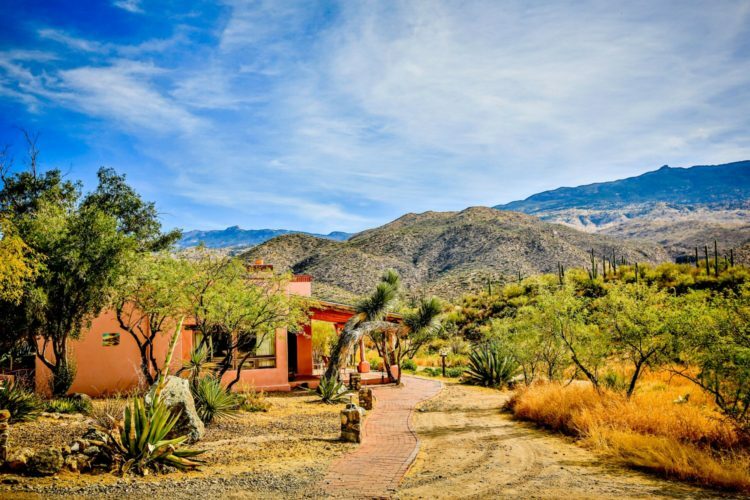 One of Arizona’s most authentic destinations, Tanque Verde Ranch is celebrating its 150th anniversary this year. 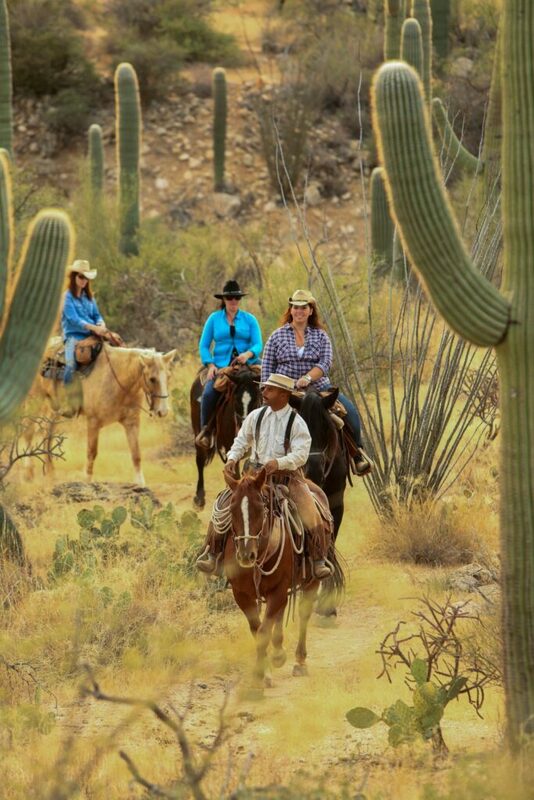 As one of America’s longest operating cattle and guest ranches, the Tucson dude ranch is full of history and is an exciting destination for the whole family to take part in. As part of its milestone celebration the ranch is introducing new offerings along with seasonal packages throughout the year. Guests can enjoy fishing, pickle ball, Jeep adventures and more. Four tennis courts are surrounded by saguaro and ocotillos, while two swimming pools offer a refreshing escape and more than 150 horses are available for lessons and rides. Keep reading for some of this year’s new features and special package deals. Kids Club Horse Painting: The kids club is open for youngsters ages 4 to 12 with hands-on activities like horse painting. Kids work with a variety of colors to paint the side of a horse with their hands. It washes off easily and acts as a massage for the horse in the meantime, while kids get the chance to get up close and personal with the animals. Custom Bike Excursions: With an on-site mountain bike guide catering to riders of all skill levels, excursions now include customized rides with multiple types of terrain and levels of difficulty, both on and off property, exploring the beautiful ranch area where the landscape is widely diverse, from desert valley riding to wickedly steep mountains in the Rincon Mountains. Half- or Full-Day Hikes: Guests can venture off property to explore the lush desert and mountains while learning about unique flora, fauna, geology and history from a professional guide. Hikers trek through Saguaro National Park, Sabino Canyon, Mount Lemmon, Tanque Verde Falls, Catalina State Park, Saguaro West/Gates Pass and Madera, with meals provided. Desert in Bloom: Experience the desert during its springtime beauty. Enjoy flora and fauna hikes, sunset cactus walks, wine and painting and 15% off select spring service at the spa. This all-inclusive stay includes meals, supervised kids program, horseback trail riding, scheduled breakfast rides and Cowboy Cookouts, as well as unlimited activities from the enhanced schedule. Rates start at $409 per night based on double occupancy. Available through May 31. Book here. $150 for the 150th: For stays through August 30, nightly room rates are available for just $150 in honor of the anniversary. The package is based on double occupancy and includes breakfast, with remaining meals and activities available for an additional cost. For more info or to book, click here. A Passion for Prickly Pears: August 17-30 guests can take part in the Valley’s harvest season for this fun cacti. Help harvest the seasonal fruit at the Saguaro National Park where it’s in full bloom and at the peak of its flavor. Prickly pears are served at the ranch in the signature Prickly Pear Margarita and can also be eaten raw, made into preserves and juiced, all of which are demonstrated by the ranch’s culinary team. All-inclusive double occupancy rates start at $435 per night and guests can participate in an enhanced activity schedule. Book here.